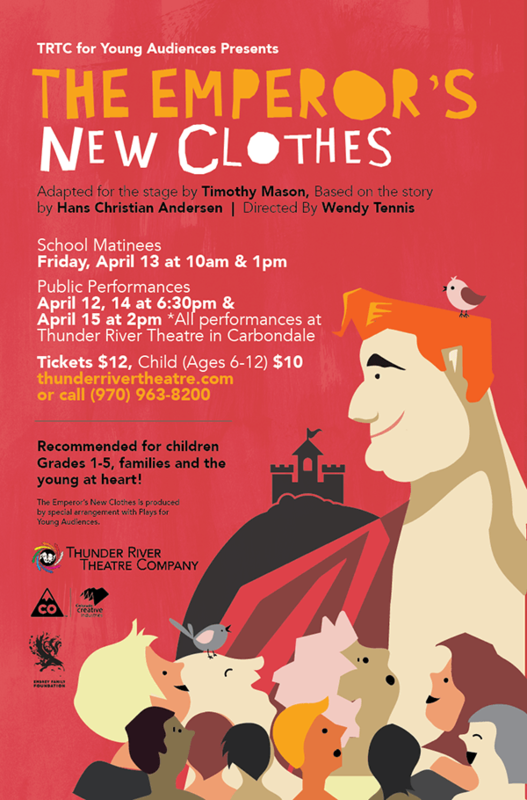 “Emperor’s New Clothes” – TRTC for Kids & Families! 3 PERFORMANCES ONLY! Hans Christian Andersen’s beloved tale comes to life at award-winning Thunder River Theatre Company. TRTC for Young Audiences presents a cast of wacky adult actors (and one terrifically talented youngster!) in “The Emperor’s New Clothes,” the PERFECT way to introduce your youngsters to the magic and fun of live theatre. Performance runs approximately 1 hour.